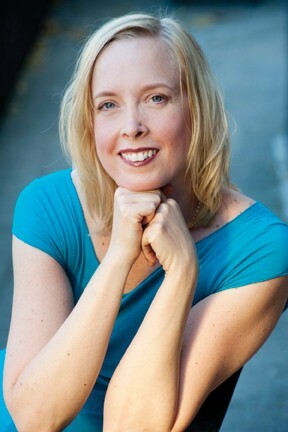 An alternative healer for over 25 years, Deborah Davis brings her experience as a licensed acupuncturist and herbalist to her unique skills as a medical intuitive and medical Qigong practitioner. 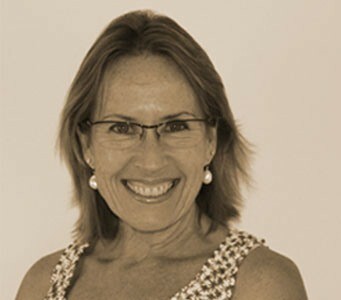 Deborah leads classes and workshops both locally and internationally, which teach participants to heal and nurture themselves using the ancient wisdom of Qigong. 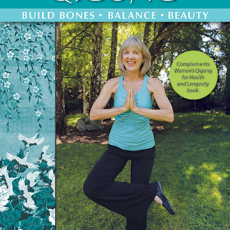 She just completed a new women’s Qigong DVD series, which accompanies her book, Women’s Qigong for Health and Longevity. 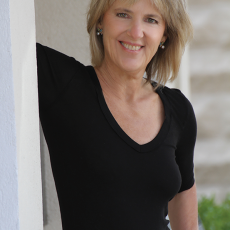 I met with Deborah recently to learn more about her approach to wellness and all of the services she provides to those looking to take charge of their health and attune to their inner wisdom. Thanks so much for talking with us today Deborah. How did you initially get into this fascinating work? In my first year of acupuncture school in 1988, a fellow student, who was a martial artist, invited me to New York City to witness an elderly Qigong master who was reportedly so powerful he could knock you down with his energy from across the room. I had never heard of Qigong but was expecting to see a hybrid of Bruce Lee and Arnold Schwarzenegger. Instead an old man walked through the door- he appeared so frail it seemed a strong gust of wind could blow him over. He lined us up along a wall and then stood about 20 feet away. He lifted his palm. Suddenly, I felt a wave of energy hit my chest and I fell back against the wall. My arms were tingling, and my chest pulsating with an electrical current that penetrated deep into my body. For a few moments, I grasped the wall for balance. I couldn’t comprehend how this fragile old man could project such an incredible power out of his hand with so little effort and no apparent gimmicks. He was a Qigong master who had learned to harness his life force energy and project it at will. The energy I felt is called qi (pronounced “chee”) and is the foundation of oriental medicine, qigong, kung fu, feng shui, and many other aspects of Oriental culture. Qi is an invisible life force that permeates all things including humans, plants, animals, and even rocks. Can you please explain the difference between martial arts Qigong and your medical Qigong practice? The Shaolin temple monks are the most famous martial Qigong masters. In China it’s believed that a superior fighter must develop both their external (muscle/tendon strength) and internal force (through Qigong) to be effective. They can overthrow someone without touching them as I witnessed in New York and are well known for exhibiting superhuman feats. As an acupuncturist, I practice medical Qigong, which is part of Chinese medicine where the goal is to both prevent and heal disease. The focus is on harnessing and developing your own life force energy and then directing it throughout the body for self-healing or to maintain health and achieve longevity. Qigong healers can also project qi out their palms for healing, bone manipulation and even to shrink tumors. Tell us more about your Qigong teacher. I met my teacher, Dr. Wang, in acupuncture school in Santa Barbara. He had been a surgeon and pathologist for 40 years in China and had learned Qigong when he was seven from a Shaolin temple monk. When I first expressed my interest in Qigong, he said he preferred to keep his practice to himself and had declined to teach Qigong for the acupuncture college. As the I Ching advises: “perseverance furthers,” so I kept persisting. A year passed before he agreed to consider my request, but first I had to pass a test. Learning Qigong was not the exciting endeavor I had envisioned. Dr. Wang began by teaching me one stance, the “three circles” stance – the basic position to build strength and immunity. I had to stand with knees bent deeply in a squat, holding my arms out in a circle in front of me as if hugging a tree, and focus on taking deep, slow abdominal breaths. “Don’t think of anything. Quiet your mind,” he’d say. All I could focus on were my trembling and aching thighs, the beaded sweat dripping down my face, and how light-headed I felt. I knew I couldn’t complain or my apprenticeship would be over. He wouldn’t teach me another exercise until I could assume this pose for half an hour. Four months passed and finally he accepted me as an apprentice and I’ve been working with him ever since. I can see why you were drawn to this practice while studying Chinese medicine. Tell me more about your apprenticeship. In 1991, I ran a Qigong clinic with Dr. Wang in Santa Barbara. People came to the clinic as their last resort. I saw miraculous healings through Qigong. Patients went into remission from cancer after being told they only had two months to live, infertile women became pregnant, cysts and tumors disappeared, and chronic fatigue was alleviated. It was amazing to witness. Dr. Wang taught me how to read and diagnose someone as soon as they walked in: how do they carry themselves, their mannerisms, facial diagnosis, voice, and overall qi field. 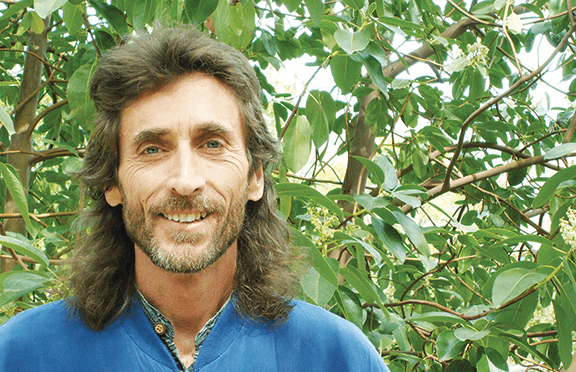 Even though he could project qi into a patient for healing, he believed that it was more powerful to teach them how to heal themselves so they wouldn’t have to rely on doctors and practitioners for basic healthcare. He has since taught me Qigong protocols for over 50 diseases and imbalances, some of which are included in my Women’s Qigong book. Help us understand more about what this practice looks like. Is it possible for people of all fitness levels to utilize these practices? Yes, I’ve worked with people from 7 years-old to ninety-three including bed-ridden AIDS and cancer patients to professional athletes. 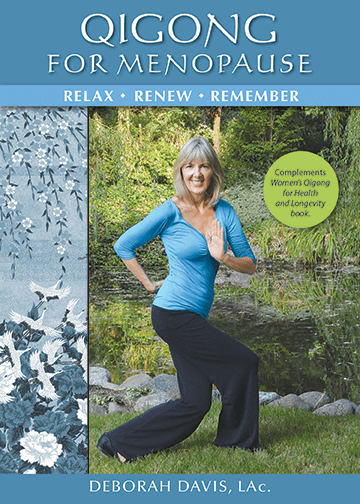 I love Qigong because anyone can do the gentle movements and feel the benefits right away. The exercises are gentle yet have powerful effects. The best time to practice is in the morning for about 30 minutes. It will set the tone for your day and you’ll feel relaxed and energized and definitely more focused throughout your day. There’s no risk of injury and is much easier than yoga, Tai Qi or Pilates. What do your clients have to report about their results? I have many client stories but I can tell you what was remarkable for me. I broke my ankle as a teenager when a pony fell on me. I was in a one of those old barbaric leg casts for almost a year. As a result, I don’t have cartilage in my ankle. In my late 30s, I was falling down a lot because my ankle was too unstable and the ligaments were weak. I went to an orthopedic surgeon and he told me I wouldn’t be able to walk in 10 years and would need a new joint, even though they hadn’t developed an ankle joint yet. That was encouraging! I didn’t have feeling or proprioreception in my ankle so I went to Dr. Wang who gave me specific ankle strengthening exercises. Twenty-three years later I have great balance and I never had to get an operation on my ankle. A few years ago I received a letter from a former patient from the 1990s in Santa Barbara. 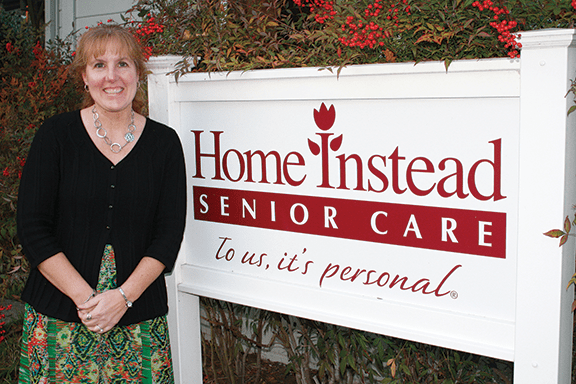 When I saw her, she had terminal breast cancer and had been given two months to live. She had just gotten divorced and had to support a young daughter. Having death on your shoulder is a great motivator and at the time she dedicated herself to the Qigong protocol that I had given her. She healed her cancer within the year. She told me that was now working two jobs to send her daughter to college! Often I don’t hear from people twenty years later, so that was really exciting. You are also a medical intuitive. How did you learn this unique skill and how does this work complement your Qigong work? As a child, I had dreams that came true. Mostly they were about death, much to my mother’s dismay, so my dreaming abilities were not encouraged in my family. I also had prophetic dreams and would learn from masters in my sleep. Since I’ve been a healer for over 30 years, I think the gift developed naturally. I’m also very connected with nature and began shamanic studies in my 20s along with herbal medicine. I was taught to listen to the plants to hear how to use them by my herbal teachers and the Native American healers that I worked with. Attuning to our natural environment is an integral part of daily life with the indigenous peoples with whom I studied. It’s so natural to me that I don’t even consider it a gift. 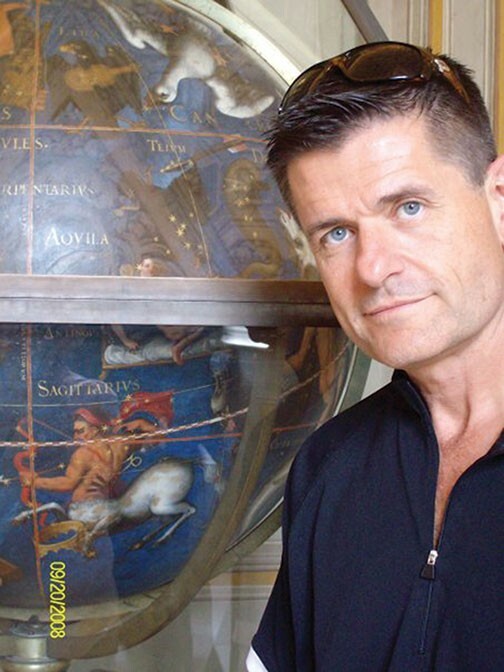 In the mid 90s, I finally came out of the closet as a medical intuitive. I had a client come to my acupuncture practice with very strange symptoms. He’d been to infectious disease MDs, homeopaths, and naturopaths, to no avail. I couldn’t figure out what was wrong either so I told him I’d just “look in.” What I saw was a parasite from eating sushi and that it was from Japan and he’d need a Japanese doctor to treat him. Luckily he was on his way to Japan in a week. There my diagnosis was confirmed and he got the proper treatment. Qigong also awakens psychic abilities and I’ve gotten a lot more sensitive through my Qigong practice. Now I can read people’s energies quickly and easily. Since energy has no time or space limitations, I do most of my work by phone worldwide. Your book and many of your classes specifically focus on women’s health. I began focusing on women’s Qigong because women see doctors twice as often as men for conditions that they can heal themselves. My mission is to teach women how to naturally heal common complaints such as PMS, menopausal symptoms, headaches, and fibromyalgia. We all have a tremendous untapped potential within ourselves, which can be awakened through Qigong practice for healing and longevity. 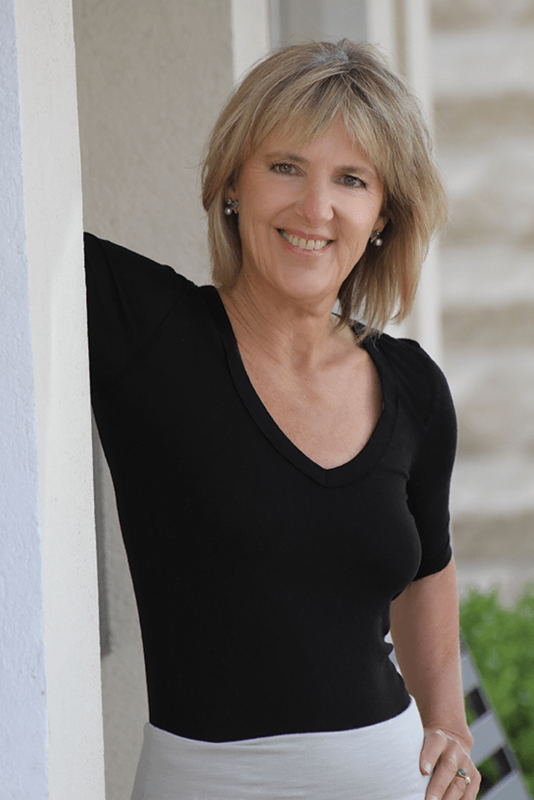 My book focuses on women as we age since a forty-year-old has different concerns than a woman in her seventies. 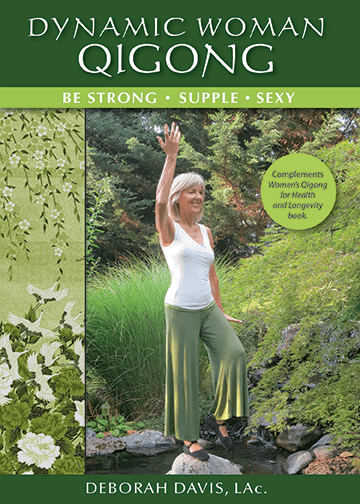 I created Qigong routines for younger women in their dynamic years, middle-aged wise women, and sage women seventy and beyond. 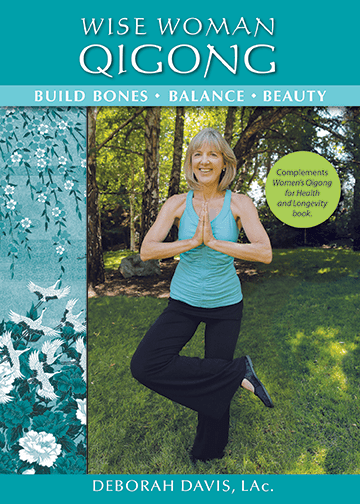 I also have chapters that cover the nine most prevalent concerns that I saw in my clinic and give Qigong protocols for each: PMS, menopause, depression, insomnia, heart issues/hypertension, cancer, osteoporosis, breast health, and sexual vitality. 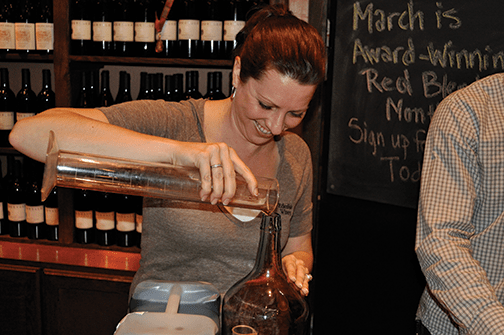 What classes and workshops do you have coming up? I will be teaching locally for the first time in awhile. I have a 5-week Dynamic Woman Qigong class starting Tuesday, November 11th – December 9th from 9-10:15am at the Community Acupuncture Clinic at 258 A St. in Ashland. I will probably offer other local classes during the winter for both men and women. Check my website and get on my mailing list for updates. I do have a wonderful yoga and Qigong retreat in March in Chacala, Mexico. I also teach at Breitenbush Hot Springs each spring and fall. If you can’t come to a class, then I have 4 Qigong DVDs for home practice. 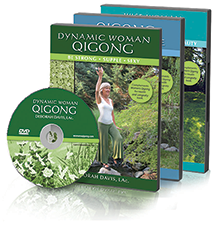 I just created 3 new women’s Qigong DVDs this year to accompany my book: Dynamic Woman Qigong, Qigong for Menopause and Wise Woman Qigong. 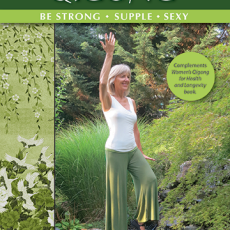 The Spirit of Qigong DVD is for both men and women and gives a complete Qigong routine for health and wellness. You also have a full calendar of classes and retreats around the country. What are your secrets for your own self-care with such a demanding schedule? Practice, practice, practice! This can be challenging when traveling, but it’s the best way to maintain your health on the road. Even if it’s only for 15 minutes, having a consistent Qigong routine will change your life. Fortunately I teach in beautiful places and retreat centers so I spend time alone in nature, meditate, do Qigong and align with the energies of each location. You have mentioned some dramatic stories of success and healing in your clients. Help our readers understand the practical application of your medical intuitive work. A lot of the healing can come from simply changing habits and becoming aware of the emotional causes of disease and where you might be leaking energy. This is more prevalent in women since we are natural caregivers and have a difficult time making boundaries. Most people feel profound changes in the indigenous practice of cord cutting where you stop overextending and call your own energies back to yourself. This is a simple exercise, but is quite effective. I just got a call from a woman that I had done a reading for last year. I had seen abnormalities in her brain and suggested that she get a brain scan. She felt fine and didn’t feel it was necessary. Unfortunately, she just found out that she has a brain tumor. Many diseases appear in the energy field before they manifest in the body and that’s the best time to deal with imbalances. I also had an MD friend of mine call me from the emergency room saying she had a heart attack and could I check her out since they wanted to do surgery. This was the hardest reading since she’s a close friend. I told her to get out of the hospital as soon as possible and that it was from anxiety and not to do the operation. What a risk to tell that to an MD! Luckily I turned out to be right and what a relief for all of us! I call myself a practical intuitive since I give clients specific things to do such as lifestyle changes, nutrition, Qigong, inner child work, energetic boundary exercises or I suggest acupuncture, bodywork or allopathic intervention when needed. I also focus on the core issue of the problem and work a lot with emotional causes of disease. Besides medical intuition, I also help with relationships, life purpose, relocation, creative projects, business, overcoming blocks in one’s life or whatever else comes up for people. What is the best way for readers to begin learning more about your work? 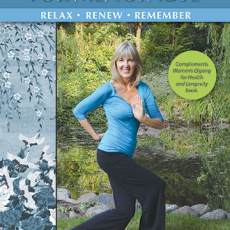 For Qigong, attending a class is a great way to begin – or buy a DVD to follow the practice on their own. I also lead retreats, which are a more in-depth and intimate immersion into Qigong and healing. I give 15-minute intuitive readings if you want to get an idea of how I work, but most people sign up for an hour session the first time. I will be running a special on intuitive readings in November, which can be done in person locally or by phone. The phone sessions are recorded.